"Pick Out What You Want & We Will Price It For You!" Delivery & Tax Are Separately Priced! Bagels with Cream Cheese, Danishes, Muffins, Assorted Juices, Coffee and Tea. Fried Chicken, Potato Salad or Chips, Fruit, Assorted Cookies and Drink. Sandwich (your choice of ham, turkey, chicken salad or tuna), Chips, Fruit, Assorted Cookies and Drink. Boiled or Scrambled Eggs, Grits, Bacon (Turkey or Pork), Sausage (Turkey or Pork), Salmon Cakes, Escalloped Apples and Home Fries, Waffles, Fruit, Biscuits with Butter and Jelly, Assorted Juices, Coffee and Tea. Orders Per Person Include Chafing Dishes & Sterno. | Orders By The Pan, Use of Chafing Dishes & Sterno Extra! Spaghetti, Sauce with or without Meat, Tossed Salad, Brownies and Punch . Lasagna with Meat Sauce or with Vegetables, Tossed Salad, Garlic Bread, Dessert and Punch. Baked and Fried Chicken, Rice Pilaf, Carrots, Rolls, Dessert and Punch. Baked and Fried Chicken, BBQ Ribs, Potato Salad, Macaroni and Cheese, String Beans, Rolls, Dessert and Punch. Fried and Baked Chicken, Macaroni and Cheese, Greens, Cornbread, Dessert and Punch. 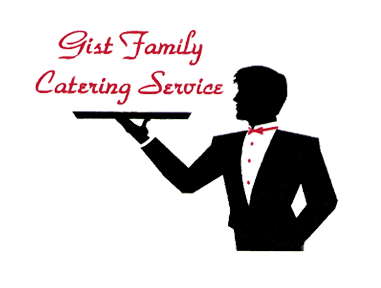 Fried and Baked Chicken, Potato Salad, Vegetable Medley, Tossed Salad, Rolls, Dessert and Punch. BBQ Ribs, BBQ Chicken, Potato Salad, String Beans, Baked Beans, Rolls, Dessert and Punch. Baked Ham, Fried and Baked Chicken, Potato Salad, String Beans, Rolls, Dessert and Punch. Baked and Fried Chicken, Catfish, Potato Salad, String Beans, Rolls, Punch and Dessert. Roast Turkey and Stuffing with Gravy, Macaroni and Cheese, Yams, String Beans, Cranberry Sauce, Rolls, Dessert and Punch. Cornish Hen with Stuffing, Green Beans with Almonds, Wild Rice, Tossed Salad, Rolls, Dessert and Punch. Baked Salmon, Rice Pilaf, Vegetable Medley, Tossed Salad, Rolls, Dessert and Punch. Roast Turkey and Stuffing with Gravy, Ham, Macaroni and Cheese, Yams, Potato Salad, String Beans, Cranberry Sauce, Rolls, Dessert and Punch. Chicken Cordon Bleu, Herb Stuffed Chicken Breast, Stuffed Chicken with Crab Meat, Lemon Herb Breast, Short Rib of Beef, Prime Rib Au Jus, Roast Beef and Gravy, Chop Steak with Onions and Mushrooms, Catfish, Crabcake, Beef Stroganoff, London Broil, Smothered Chicken, Seafood Ala Gist, Chicken Teriyaki or Chef Salad with Turkey and Ham. Potato Salad, String Beans, Rice Pilaf, Vegetable Medley (Fresh Broccoli, Cauliflower and Carrots), Macaroni and Cheese, Yams, Baked Beans, Cole Slaw, Wild Rice, Brown Rice, Fresh Collard Greens (Extra Charge) or Green Beans Almondine (Extra Charge). Peach Cobbler, Apple Cobbler, Cookies and Brownies, Sweet Potato Pies, Pound Cake or Cheesecake (Available Upon Request At An Extra Charge). Can be cooked on site. Beef or Turkey. Can be cooked on site. Fried, Baked, Buffalo, Teriyaki, Jerk and BBQ. For 75 Persons or More - $13.50 Per Person. With rice pilaf, vegetable medley, toss salad, rolls and butter, fresh fruit and lemonade. With rice pilaf, vegetable medley, toss salad fresh fruit and lemonade. With garlic bread, fresh fruit and lemonade. With marinated chicken breast chunks, garlic bread, fresh fruit and lemonade. With a choice of 5 assorted toppings: Tomatoes, cucumbers, baby carrots, onions, chopped eggs, or green bell peppers, garlic bread, fresh fruit, and lemonade. Additional toppings: Chicken or Shrimp at $2.00 per person. Smothered in marinara sauce with or without cheese, toss salad, garlic bread, fresh fruit and lemonade. With marinara sauce, with toss salad, garlic bread, cookies and brownies and lemonade. Toss salad, garlic bread, cookies and brownies, and lemonade. With marinara sauce, toss salad, garlic bread, fresh fruit and lemonade. With toss salad, garlic bread, cookies and brownies and lemonade.